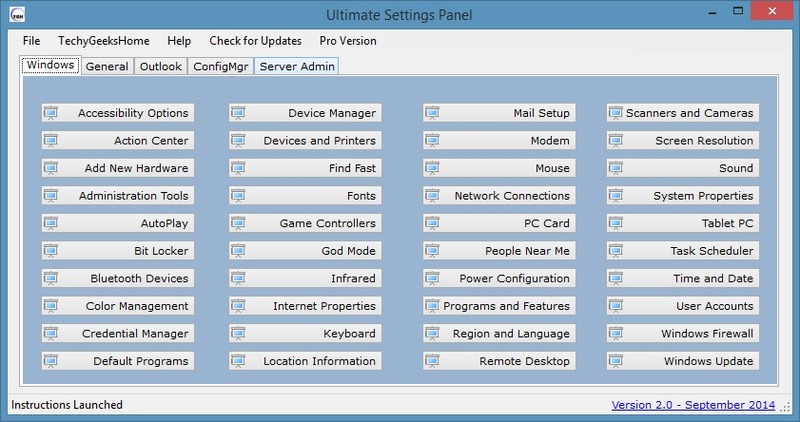 Typical Windows users visit the Control Panel to access various features, settings and options. While some users prefer using the Start menu or Start screen, power users use the Run command to quickly launch admin tools and Windows features by typing appropriate run commands. Without a doubt, one can quickly launch features and settings through Run command. But since there are tens of admin tools in Windows, many users find it difficult to remember all Run commands and end up using the Start or Control Panel. The other way to quickly access all admin tools is to pin Control Panel to the taskbar but if you’re looking for a better solution you can download a free, portable utility called Ultimate Settings Panel. 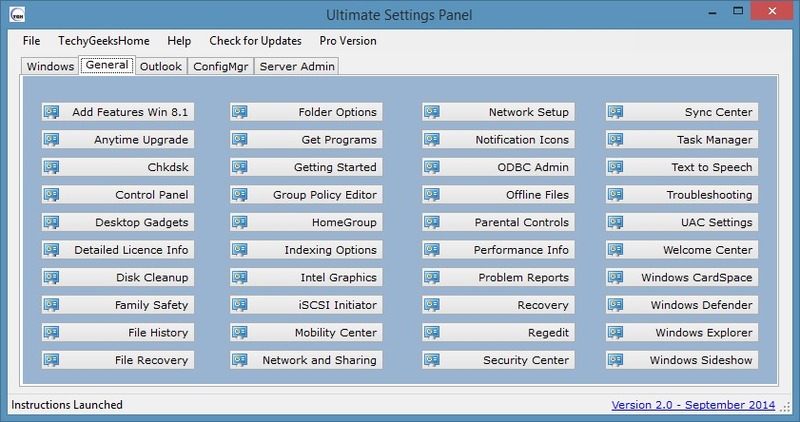 As the name suggests, Ultimate Settings Panel lets you quickly access over a hundred tools and settings right from your taskbar. All you need to do is pin Ultimate Settings Panel to the taskbar. Once it has been pinned to the taskbar, you can launch various settings with a mouse click. The user interface is simple and very easy to navigate. Under Windows tab, you can find about 80 tools and settings very essential to manage Windows. The General tab also includes about 80 features and settings. If you are using Outlook, simply navigate to Outlook tab to find various settings such as reset navigate pane and repair PST. Client applet, CMTrace, Program download monitor, Run advertised programs, Software center, and Uninstall client options are present under ConfigMgr tab. 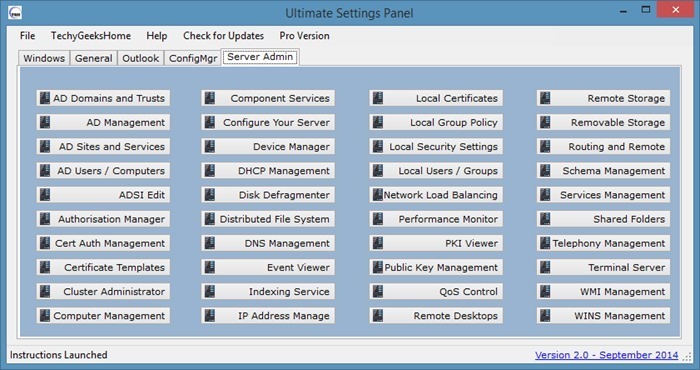 And if you’re on Windows Server, you can find all required settings and options under Server Admin panel. As mentioned earlier, we recommend you pin this portable program to the taskbar so that you can quickly access various settings and tools with the click of a mouse. Note that a Pro version of Ultimate Settings Panel is also available. Yup, God is present in Ultimate Settings Panel. @Michael – not sure about that as God Mode is included so surely more options with this tool?! I think “GodMode” would probably be more comprehensive.